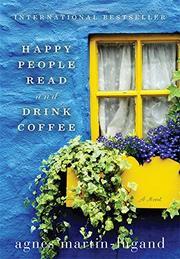 After losing her husband and child in a car accident, the owner of a Parisian literary cafe moves to the Irish coast and falls in love with her neighbor in this uplifting travel fantasy. Diane’s cottage in Mulranny is an idyllic backdrop for a romance to unfold over long walks on dramatic seaside cliffs or pints of Guinness in a cozy pub where the cheerful villagers all know each other by name. Noticeably missing from the picture is her love interest, Edward, who lives next door but who only appears every so often to yell at Diane to turn down her “damned music” or to ask her to watch his dog, Postman Pat, while he leaves town for several weeks. But their reticence is part of the story’s authenticity as well as its charm. Diane seems to get a cathartic release from turning her music back up and shouting in his face. They form a tentative friendship as Diane pulls herself together in other areas of her life—after her parents comment on her lack of independence, for example, Diane learns how to check her darkened cottage for a blown fuse. But Edward reveals his tender side when an old girlfriend appears on his doorstep. There’s a heart-rendingly awkward pause while they both decide how to proceed, knowing that both of their hearts might still belong to someone else and that Diane will eventually return to Paris—a cliffhanger ending for Edward that will be explored in the sequel. But like its heroine, the first book in the series doesn’t attempt to do too much, too soon. Martin-Lugand’s sparse but emotionally forceful style, aided by Smith’s translation from the original French, catches the sweeter moments between two people embittered by loss.